Wow! Rarely available! 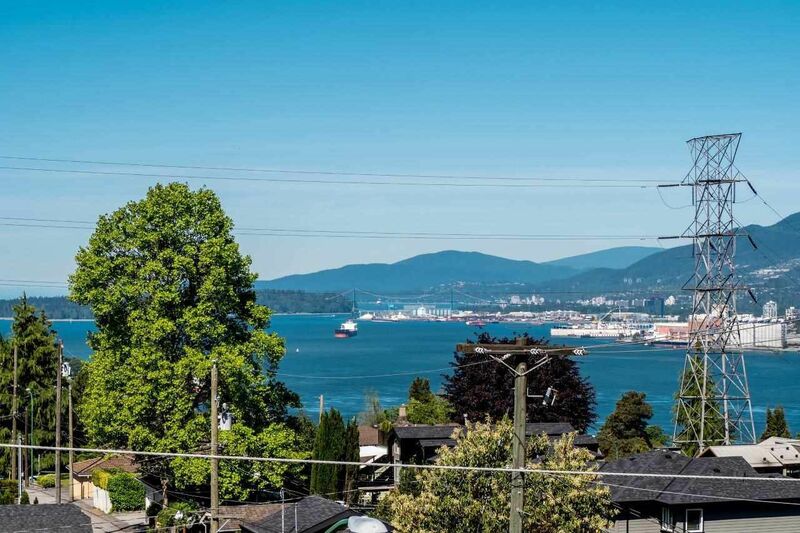 1540 square foot, 3 bedroom, 2 bath penthouse in quiet adult-oriented building in the heart of the Heights w/ some of the best panoramic city, mountain & water views in all of North Burnaby! This fully updated home is pristine: bright & airy with almost 10' ceilings, hardwood floors, contemporary kitchen w/ stainless high end appliances, formal dining room, 2 new bathrooms w/granite counters. 737 sq ft wrap around view deck. This boutique building is a 13 suite co-op with shareholders in a limited company & requires 35% down payment. Buyer approval is required, age 25+, no rentals, only 1 indoor cat allowed. Maintenance fee includes the property taxes, heat, hot water, management & outdoor pool heated pool. No elevator in building.